Syakar Trading Company (STC), the authorized distributor for Honda Motorcycles in Nepal, and one of the leading companies of the Jyoti Group, have launched Honda’s widely-appreciated CB Unicorn 160 in the stunning shades of Imperial Red Metallic, Geny Gray Metallic, Pearl Black, and Sunbeam White. Honda CB Unicorn has become synonymous with practicality, style, and performance. From youngsters to corporate officers, the admirers of CB Unicorn are plenty. STC is proud to bring in the new enhanced models of CB Unicorn which will serve to provide Honda customers with added benefits. 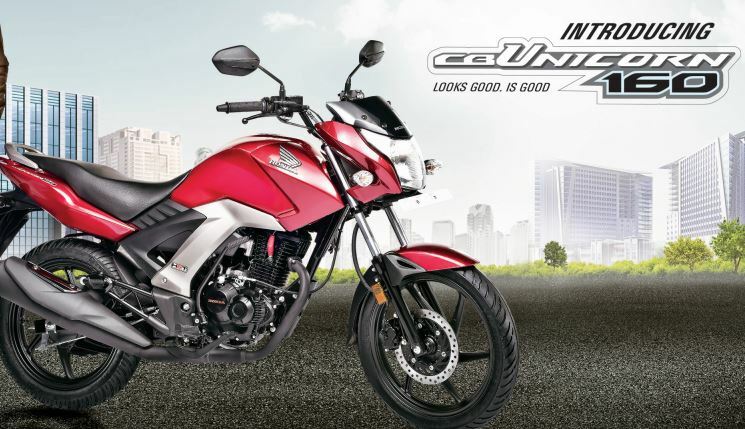 Besides the ever-consistent reliability and performance of Honda motorcycles, new CB Unicorn brings in better looking aerodynamic front cowl and chiseled tank, attractive headlights/taillights, sporty silencer muffler, and a more powerful 160cc HET Engine (which ensures better mileage) to add to its arsenal of impressive features.The all new CB Unicorn not only looks good, but is also sure to perform just as good. Syakar Company, established in 1968, has been doing motorcycle business ever since its inception. It started its Honda automobile business in 2002. Today, it is one of the most reputed and leading companies of Nepal with its retail outlets spread all across the nation. View CB Unicorn 160 now.